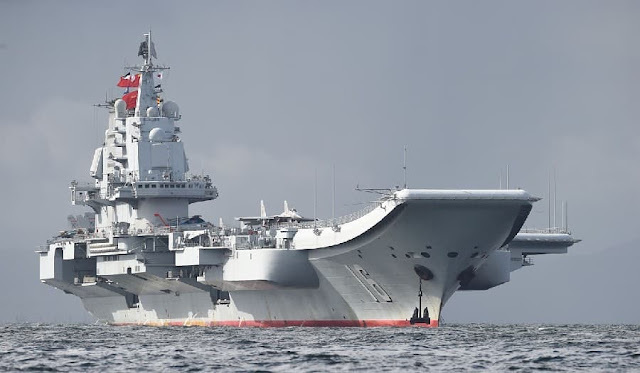 At the same time, Xinhua didn't give any specifics about how the new carrier would differ from the first two and when it is expected to enter into service. By my back of the napkin estimate the Chinese should match our carrier power around 2030 and probably surpass us soon after. The window of superiority (in mass if not in the region) is shrinking rapidly. The longer we wait the more they close the gap, the bigger the risk in the inevitable confrontation. Am I calling for war? Not exactly. I said confrontation. China has to be put back on their heels, reeled in and FORCED to act according to international norms. As I said. The time to call them on their BS is rapidly shrinking.